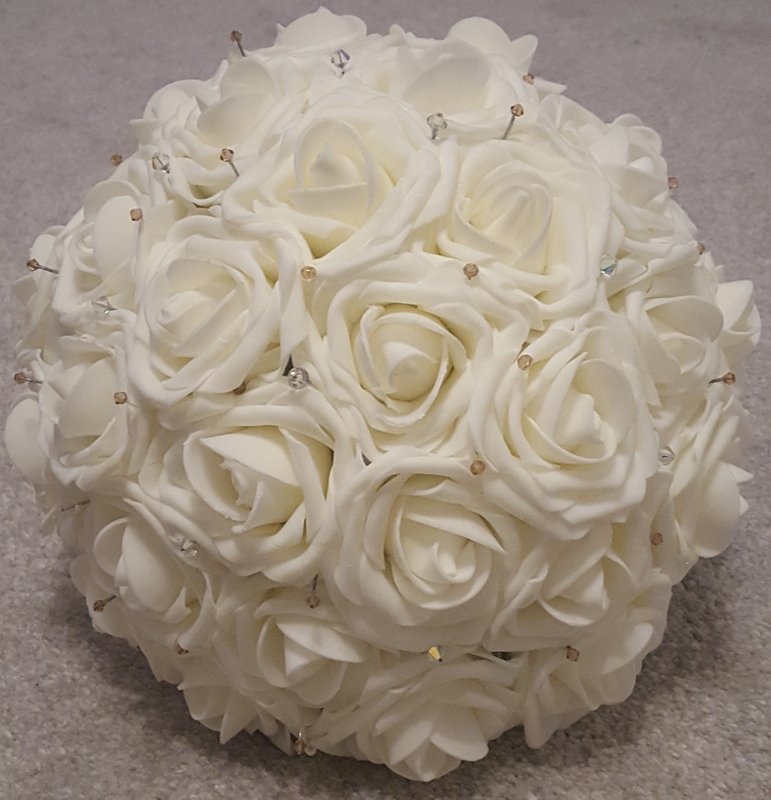 Everlasting rose bouquet with swarovski crystals. A bouquet made using real touch roses. 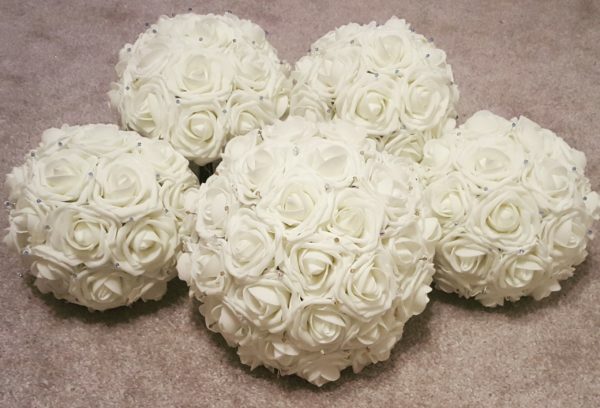 That lasts forever. 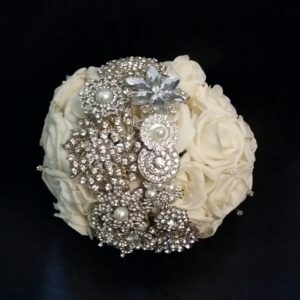 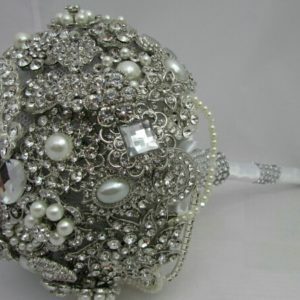 This bouquet has swarovski crystals scattered throughout it. 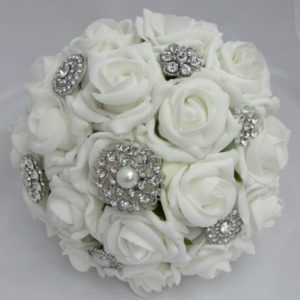 This bouquet is also available in a smaller bridesmaid size for £44.99, please contact us for more details.